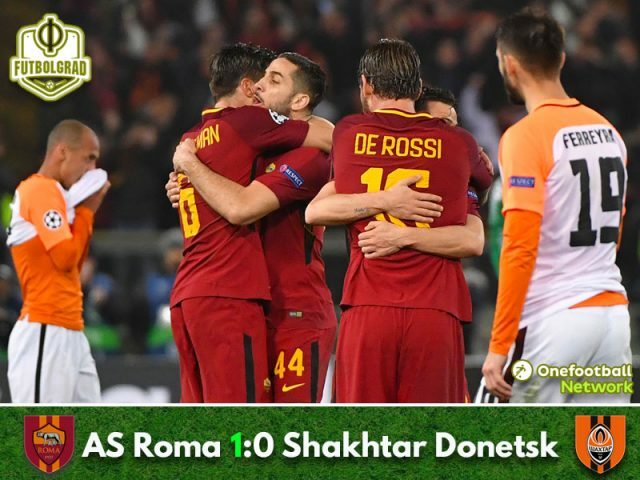 Roma vs Shakhtar Donetsk was a match on the knife’s edge with Bosnian striker Edin Dzeko being difference maker scoring the winner in the 52nd minute. Roma go through on the away goal. Edin Dzeko wins the man of the match. Roma stormed out of the gate looking for the early advantage, but could not find a way through a tightly organised Shakhtar defence. At around the ten-minute mark, Shakhtar started to slowly take control of this match probing and testing Roma’s defence. The Italian in the meantime were sitting surprisingly deep for a side that was chasing the result. The match ebbed and flowed back and forward, and at the 25-minute mark, it was Roma that took control. Pressing Shakhtar into their half, they once again could not find a way through with Aleksandar Kolarov almost picking out Edin Dzeko in the centre of the box in the 25th minute. The first major chance of the game fell to Shakhtar, however, with Federico Fazio losing the ball to Facundo Ferreyra deep in his half in the 32nd minute. Ferreya went one-on-one with Alisson, but Fazio chased back and managed to interfere Ferreya enough for the Argentine to put his shot off target repairing his mistake. It was the only clearcut chance for either side in a half that was fascinating to watch but lacked real goal scoring opportunities. Within six minutes of the second half, Roma had taken the lead. 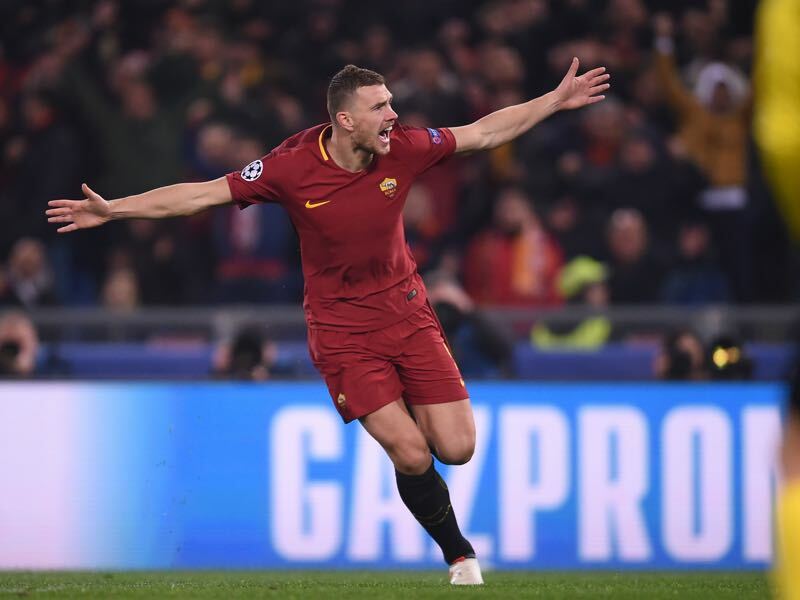 Kevin Strootman played a long no-look pass from the centre of the park into Dzeko’s run, who had just about beaten the offside trap, and the Bosnian made no mistake beating Andriy Pyatov in the one-on-one situation. Down in the tie, Shakhtar then took control over the proceedings without being overly dangerous, however. With 58% ball possession the Ukrainians circulated the ball well without finding an opening in Roma’s defence. As a result, there was room for Roma to counter and Dzeko almost had the second of the night in the 62nd when he was left open outside the box after Radja Nainggolan counter, the Bosnian’s shot from 18-yards was just off the target, however. Shakhtar had to press allowing Roma to counter and Gerson (72′), his shot was blocked inside the box, and then Dzeko (78′) managed to break away from Shakhtar’s defence. The Bosnian, however, was held back by Ivan Ordets and the foul was considered a professional foul giving referee Alberto Undiano Mallenco no choice but to show a red card. A man down and chasing a goal, Shakhtar had too much of a mountain to climb. Roma, on the other hand, did well keeping the Ukrainians at bay securing their passage to the next round in a match that was on a knife’s edge for the entire 180 minutes. The Bosnian striker had the deadly touch that ended up deciding the tie over 180 minutes. The only player to have scored more than 50 goals in Germany, England and Italy showed once again that he is still a world-class striker. Going one-on-one with Pyatov, there was never any doubt that he would finish the move on to win it for Roma. Dzeko also set up Cengiz Ünder’s goal in the first leg and was influential all over the pitch. This was perhaps one of the most underrated matches of the round of 16 in the UEFA Champions League. In the end, it was fine margins in an excellent game between two great sides with Shakhtar perhaps lacking that final punch through in the final third. What stood out the most was that Ferreyra, compared Shakhtar’s other attacking players lacked the pace to challenge on this level. Roma have not conceded any shot on target in a Champions League match for the first time since 2004-05. Two Italian teams have reached the Champions League quarter-finals for the first time since 2006-07. Roma have reached the Champions League quarter-finals for the third time in their history.